Virginia creeper is one of the most attractive deciduous vines, with deep green leaflets that blush to scarlet in the autumn. Can you grow Virginia creeper in a pot? It’s possible, although Virginia creeper in containers require more work than the same plants in the garden soil. Read on for information on Virginia creeper container care including tips on growing Virginia creeper in pots. Can You Grow Virginia Creeper in a Pot? Virginia creeper (Parthenocissus quinquefolia) is a popular garden vine, and it grows in a wide variety of climates. 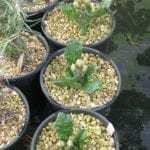 It can thrive in U.S. Department of Agriculture plant hardiness zones 3b through 10. This vine grows fast and can get up to 50 feet (15 m.) if left to its own devices. Virginia creeper doesn’t require a support to climb, since its tendrils cling to brick, stone or wood by sucker disks at the tendril tips. It can also creep along the soil and makes a good ground cover. But can you grow Virginia creeper in a pot? It is possible if you are careful with Virginia creeper container care. There are some definite problems that you’ll have to keep an eye out for. Growing Virginia creeper in pots is tempting if you love the vine and don’t have much space in your backyard. It’s truly a lovely plant and its fall color display – when the leaves turn bright scarlet – is spectacular. In addition, birds love the berries the plant produces. But container grown Virginia creeper may not be as lush and lovely as you would hope. 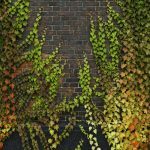 A healthy vine in garden soil is incredibly vigorous, and Virginia creeper in containers may not show the same abundant growth. In addition, the roots of Virginia creeper in containers can freeze much faster than those deep in the soil. This is especially true if the containers are small. Generally, this vine should be planted where it has room to grow and expand. So for container grown Virginia creeper, use as large a container as possible. Recognize that Virginia creeper in containers will dry out must sooner than plants in the soil. You will have to water it much more frequently. If you go away for a vacation during the growing season, you’ll need to get a neighbor or friend to water it for you. This is doubly true if you position the container in full sun, which gives you the best fall colors. Take care that the Virginia creeper doesn’t jump the pot and escape. Some find the vine very invasive if left to its own devices. Keep it trimmed and controlled to prevent this. 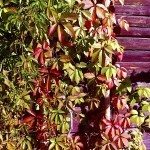 Read more articles about Virginia Creeper.